Last night at dinner we were discussing the trip Dave and I will be taking to Washington D.C. this fall to visit Chandler in college during parent’s weekend. It’s not the first time our family has talked about how helpful this stranger was to us. 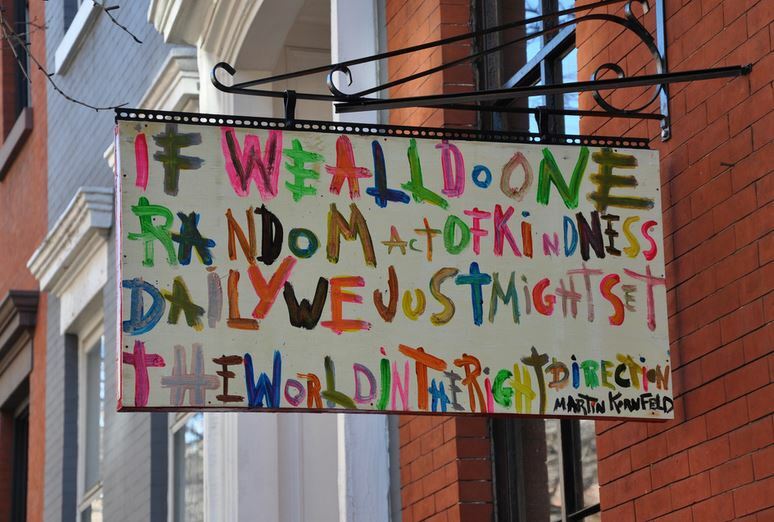 A random act of kindness, I suppose you could call it. Three years ago we traveled to Washington D.C. for a family vacation. We had an early morning flight that was delayed causing us to miss our connection. We eventually got to D.C. after a four hour layover and fourteen hour travel day. We landed sometime after 10PM and took the metro to our hotel. At the transfer station we encountered a huge mass of people. A Phillys/Nationals baseball game had just ended and the subway station was packed full. Dave has lived in several big cities and I’ve traveled quite a bit, so we certainly know how to handle a crowded subway. But our kids? They’re Southern California suburbanites who’d only ever taken the LA subway (which can best be described as subway-lite) for fun day trips. As we stood at the edge of the line with our wheely bags, overtired, overwhelmed and completely out of our element, a woman approached us. “Thank you,” we said as she and her friends moved up the line. We mushed our way through the throngs of people and made our way toward the middle. She was right. The train wasn’t very long, but thanks to her we made it on. It was such a simple thing she did, taking a few seconds to help a family she didn’t know and would never see again. She could have looked at us and thought, “Suckers.” Or just look through us and thought nothing at all. It wasn’t a grand gesture, but it certainly did save the day. It’s something we still talk about sometimes three years later. In our day-to-day lives we’re met with rudeness or indifference all the time. The person who cuts you off or who doesn’t say thank you when you hold the door open for them. But those are not the people I remember. What we do in our day-to-day lives matters. What we focus on matters. I choose to focus on the good, the beautiful, the inspiring and remember the kindnesses that are bestowed upon me, both big and small. I’d love for you to tell me about an unexpected kindness that has been bestowed upon you. Wouldn’t you like a life like this? 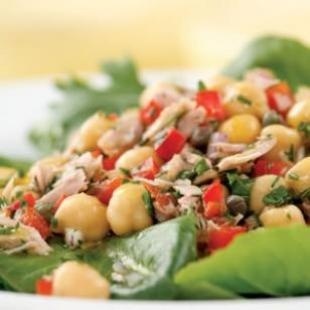 Tuna and chickpea salad – sadly I’m the only person in the Ross household that would eat this! I cannot tell you how cute I’d look in this! Yes, mid-September is still summer, people, and it’s usually Los Angeles’ hottest month. My poor kids. It’s way too hot to run 3 miles or to play soccer for an hour. 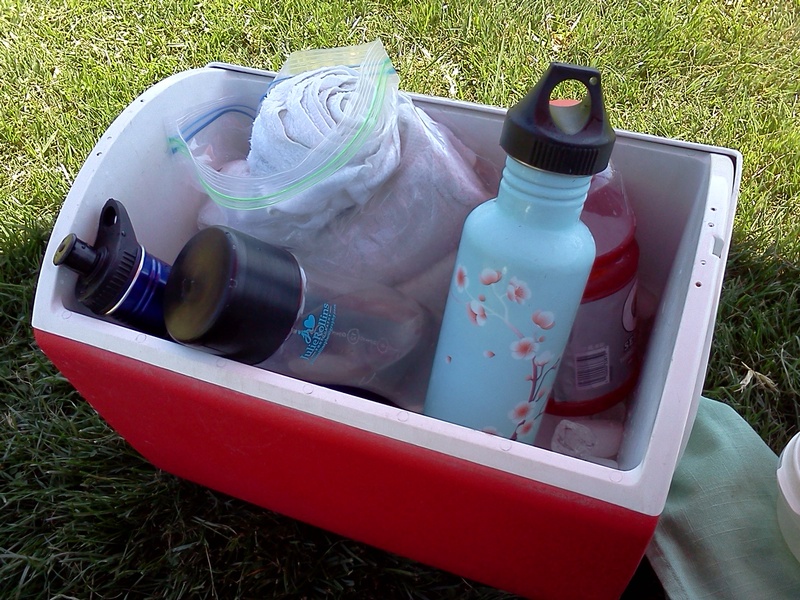 Ready to go with cool towels, Gatorade and plenty of water. And even more importantly, poor me. How am I supposed to obsess over warm and cozy fall outfits that I cannot afford and have no place to wear in weather like this?